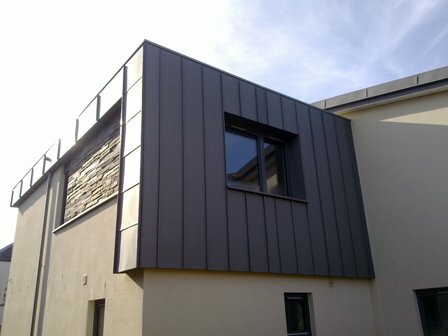 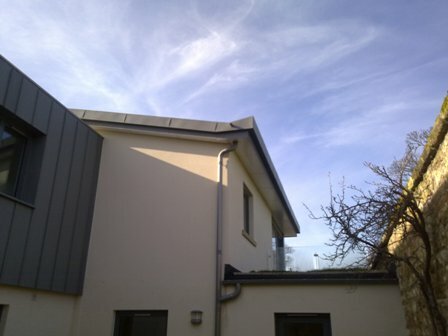 Cladding in VMZINC Quartz Plus Finish. 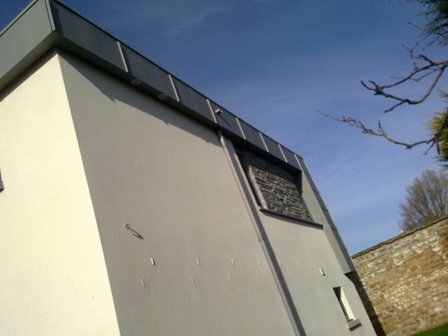 At Artisan, Roofing Sheet Metal and Sheet Metal Cladding is what we do best. 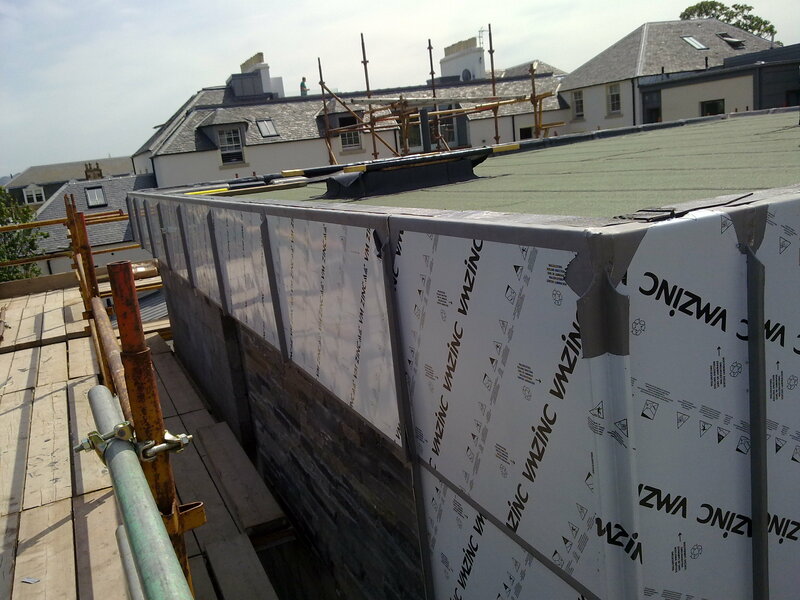 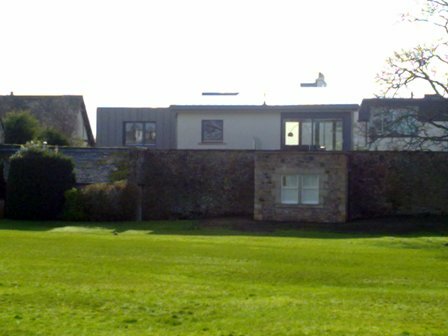 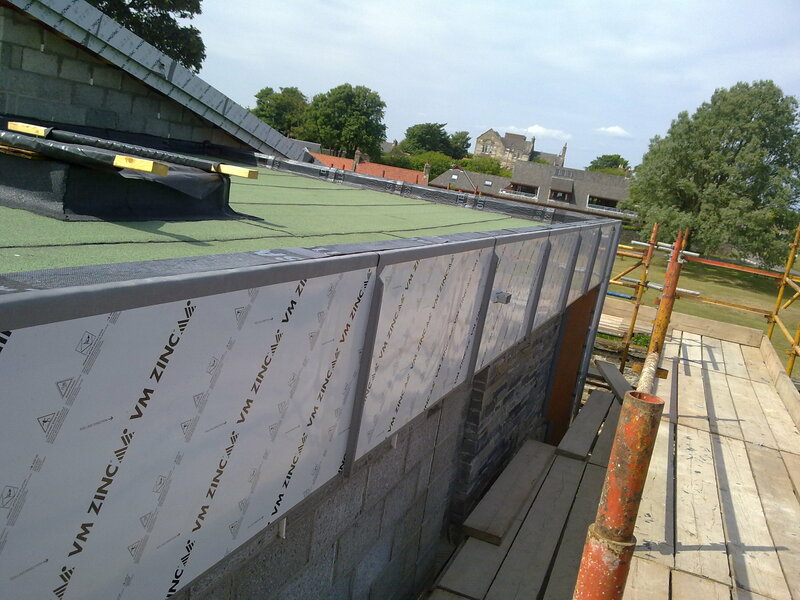 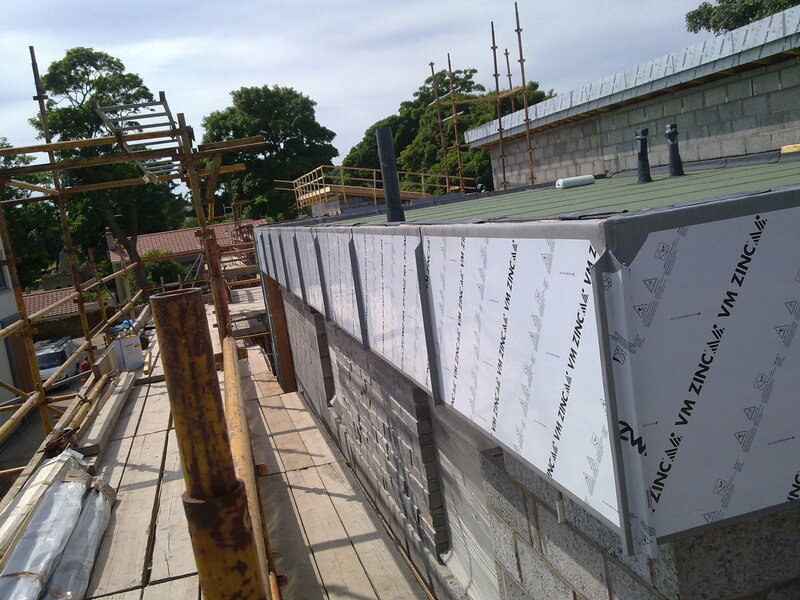 We are an Edinburgh Metal Roofing & Cladding Contractor, our staff trained by VM-ZINC, Zinc Sheet Metal is our main trade. 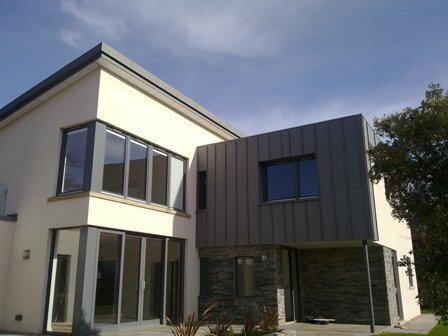 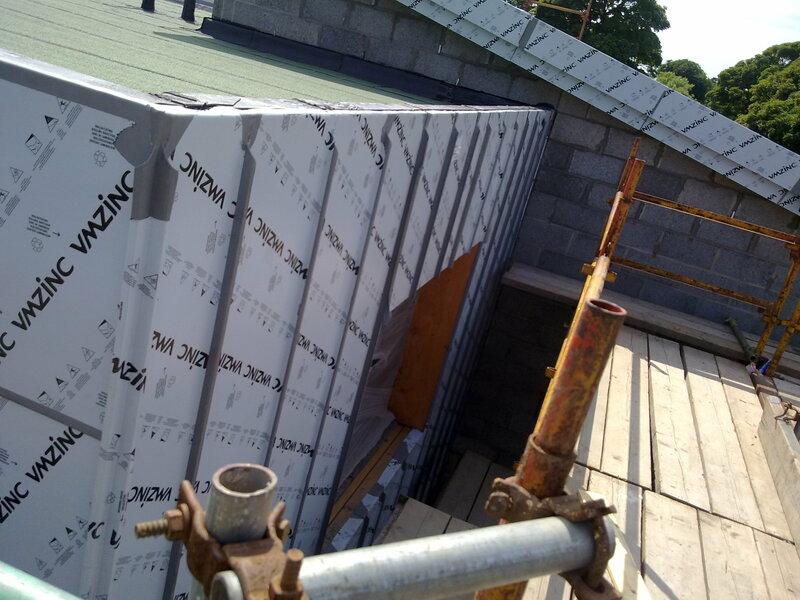 Zinc Metal sheets can be used in a wide range in the Construction field , from Sheet Metal for Roofs , Sheet Metal for Cladding , Fascias to the most complicated shape. 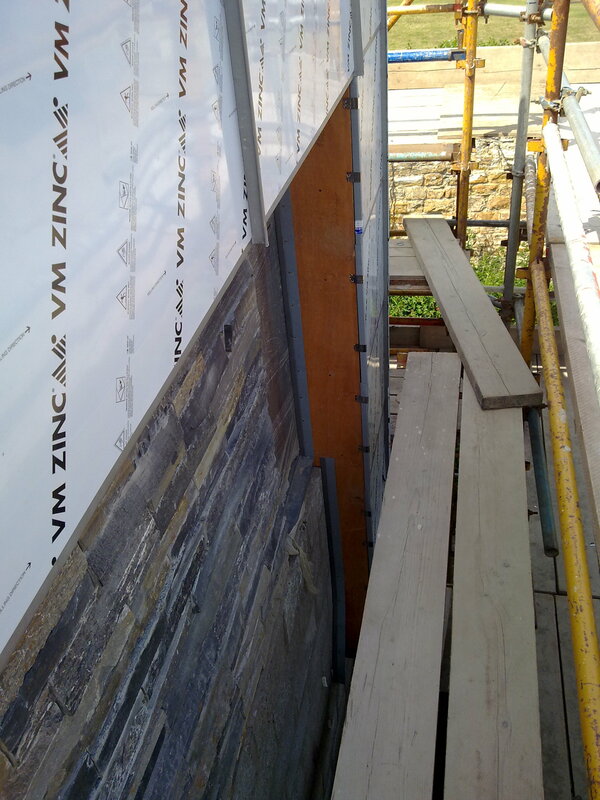 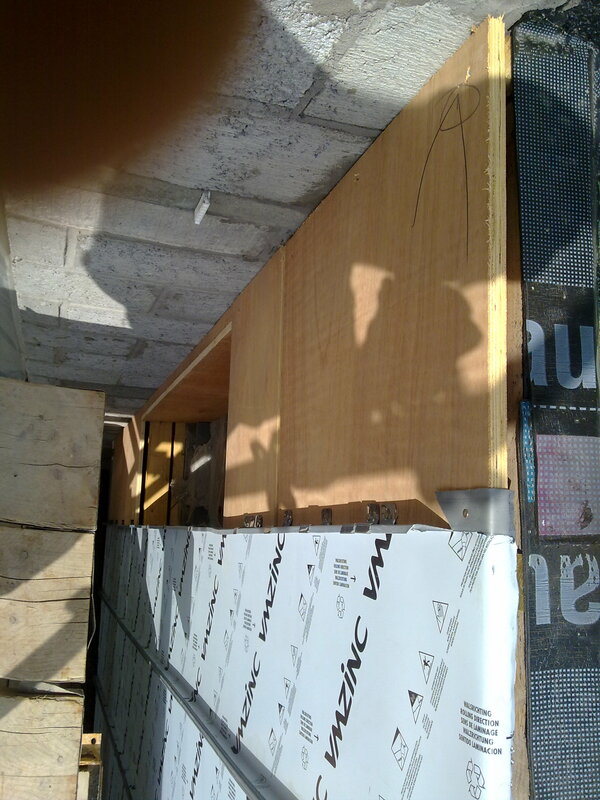 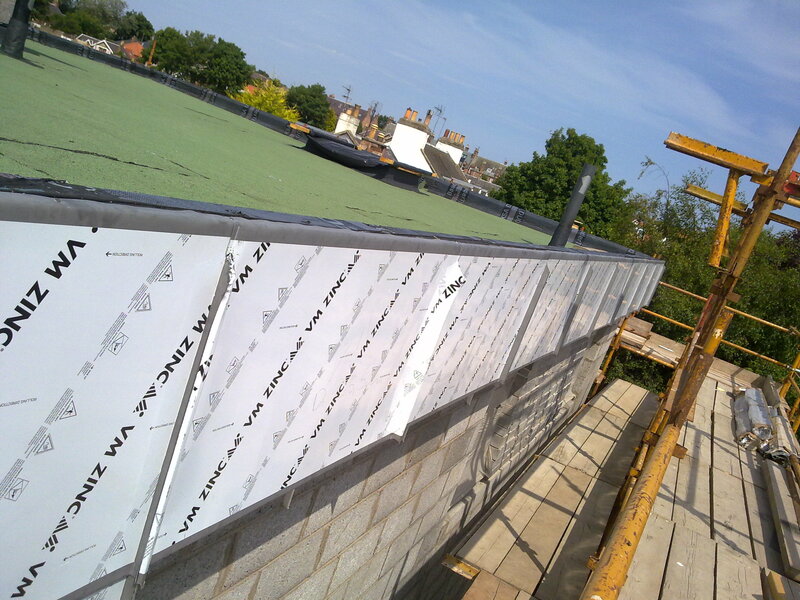 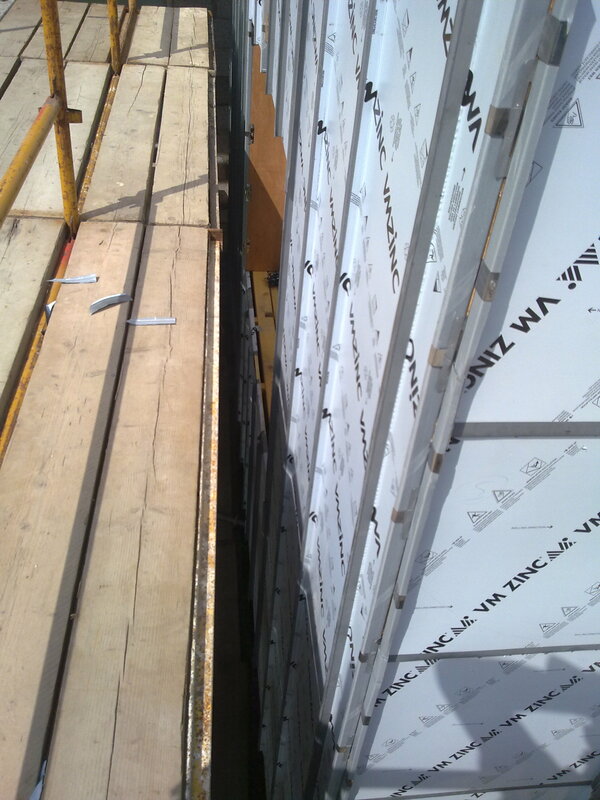 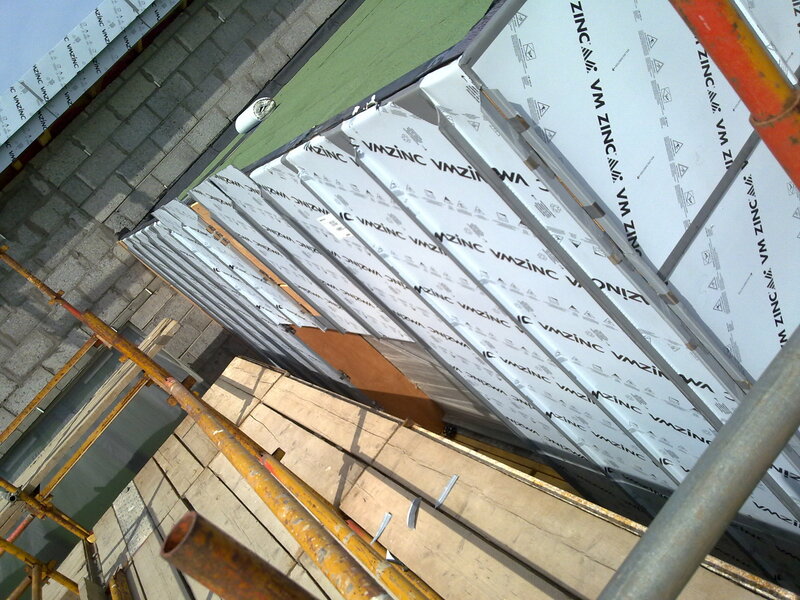 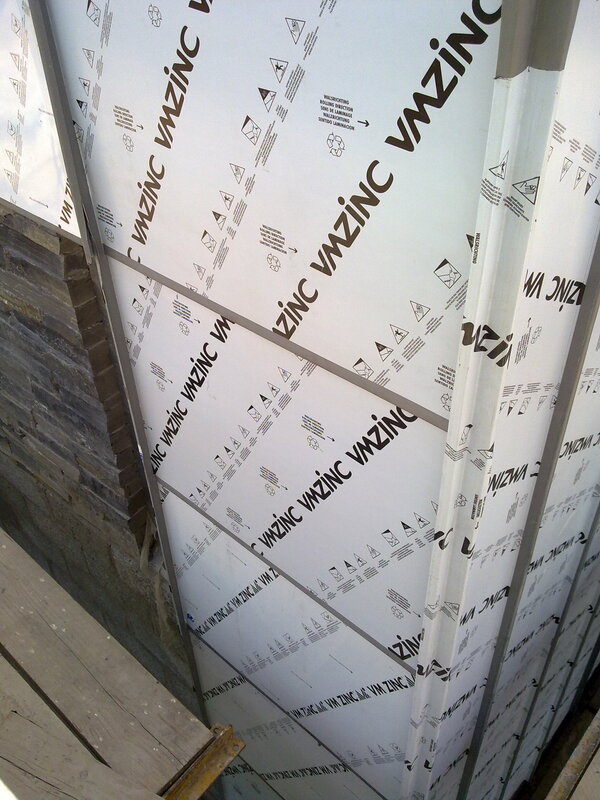 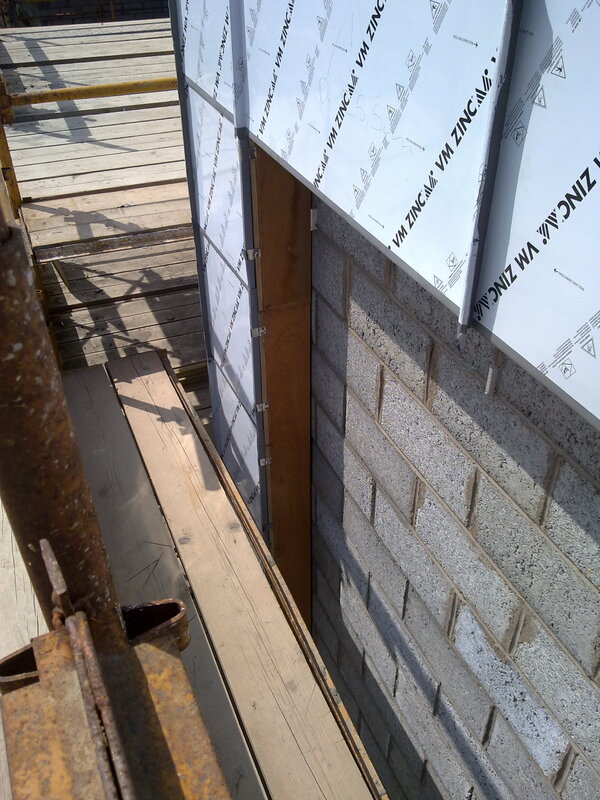 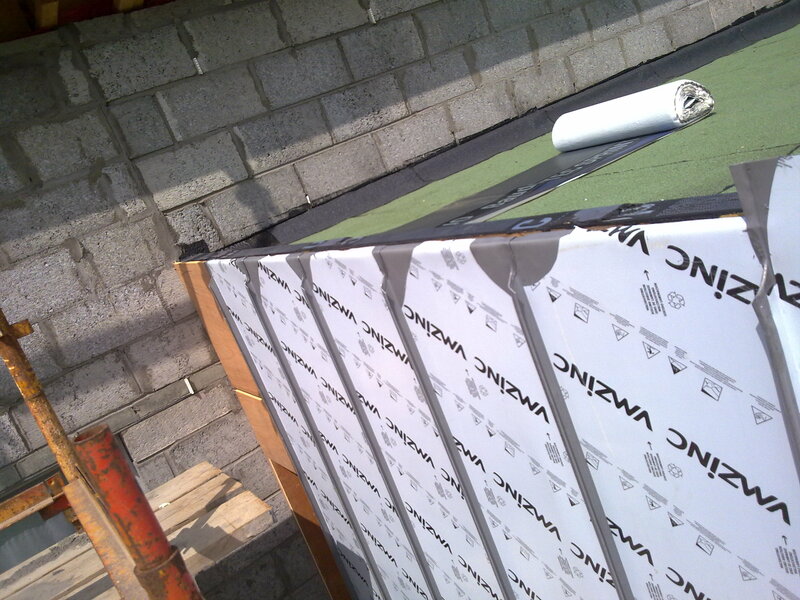 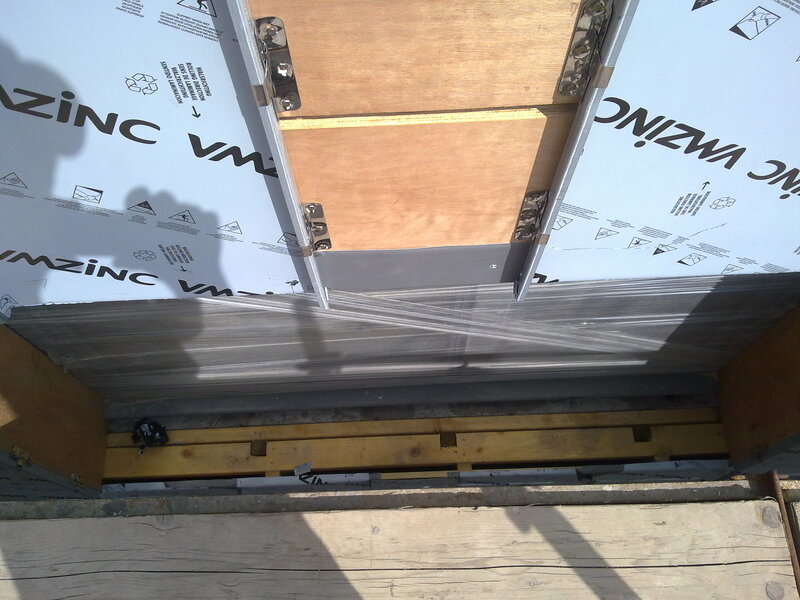 VM-Zinc Quartz plus project : Sheets Metal Cladding on a ventilated plywood frame.